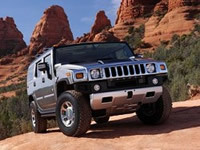 As well as the H2 Hummer limo hire, H3 Hummer limo hire and Baby Hummer limousine hire, Hire Hummer Limo also has a wide variety of Hummer style limousine hire that give you the high quality looks and performance of a Hummer limousine. This means that for your event we can offer you a limousine hire that maybe more suitable for you then the Hummer limousine hire. The Hummer limousine hire is a 4x4 vehicles with huge amounts of room, luxury interior and exteriors and all the latest gizmos and gadgets. We can offer you limousine hire along this same style which includes the 4x4 Range Rover limo hire, the Porsche Cayenne limo hire, the 4x4 BMW X5 limo hire, the Audi Q7 limousine hire, the Jeep Expedition limousine hire, the Ford Excursion limo hire and many more. All of our Hummer style limousine hire vehicles come with mini bar with a selection of drinks of your choice, either cocktails, wines, Champaign’s or soft drinks. Also inside you’ll find surround sound systems connected to CD, DVD players and IPod connections, flat screen LCD or HD TVs, luxury leather seating, mood lighting, star lighting and strobe and laser lighting, tinted privacy windows, air conditioning and climate controls (back and front), wooden flooring and mirrored ceilings. All this can guarantee you a luxurious journey and limousine hire experience. We have limousine hire suitable for different occasions. We have party limousine hire, wedding limousine hire, business and promotional event limousine hire and also children’s limousine hire. In our party limousine hire we can include extra fun and exciting facilities like karaoke machines, bubble machines, fog machines and chocolate fountains. You can enjoy your night out from the moment you step inside the limousine. 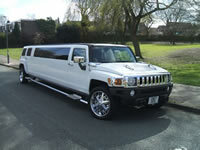 Our Hummer style limousine hire will get any birthday, hen night or stag night, children’s birthday or just a night into town with friends off to an amazing start. We have some spectacular Hummer style limousine hire highly recommended for wedding transportation for the bride and groom or to transport your wedding guest to and from venues. We have limousine hire which will seat up to 16 passengers at a time and still give you plenty of room inside. Our white limousine hire for weddings will come decorated with wedding ribbon and bows to complement your wedding day and each chauffer will be smartly dressed head to toe and be at your service throughout your travel. Our customers are very important to us therefore their safety is our main priority. All the limousines in our fleet at Hire Hummer Limo company are fully licensed and insured to abide by the limousine hire laws of VOSA and we are continuously training all our staff including admin staff who book your limousine hire to give you the best possible service for your event or occasion. For more information on the safety, service or limousine hire that Hire Hummer Limo offers to its customers, please call or email and we will be more the happy to help.